RESIST 3 O.O.K Single immunochromatography test for the triple independent identification of OXA-48-like, OXA-163-like and KPC carbapenemase on bacterial colony. RESIST 3 O.K.N Single immunochromatography test for the triple independent identification of OXA-48-like, KPC and NDM carbapenemase on bacterial colony. 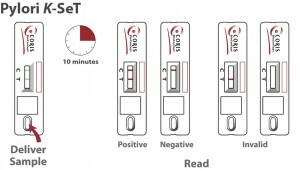 (NEW) RESIST 4 O.K.N.V This new immunochromatography test, made of two cassettes, allows the identification of OXA-48-like, KPC, NDM and VIM carbapenemases on cultures. (NEW)…… ONE MORE Coris BioConcept is proud to announce that we have enlarge the RESIST family. Coris BioConcept is proud to announce that we have enlarge the RESIST family. The new born is a test to detect another member of the oxacillinase family: the OXA-23. The OXA 23 (Ref K-15R7) is mainly expressed by Acinetobacter baumannii to confer resistance to carbapenems and cephalosporins. Acinetobacter baumannii is an important and opportunistic Gram negative bacteria responsible for nosocomial infections in health facilities, more dramatically on immuno-depressed patients in Intensive Care Units. Clinical staff and environment are main sources of contaminations, leading to septicaemia and death. For those reasons it is important to quickly detect the presence of Acinetobacter baumannii and its potential resistance to beta-lactamases to readjust the antibiotic treatment and reduce the spread of the resistance. 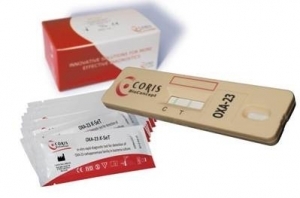 Coris BioConcept is specialized in developing rapid diagnostic tests. For more than ten years, Coris BioConcept has developed a broad range of antigen detection tests for enteric, gastric and respiratory diseases. 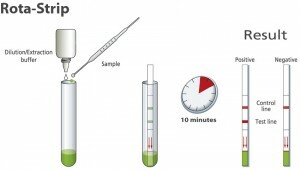 These tests are based on the Immunochromatography technology with colloidal gold particles or latex microspheres either on Dipsticks or Cassettes (K-set).